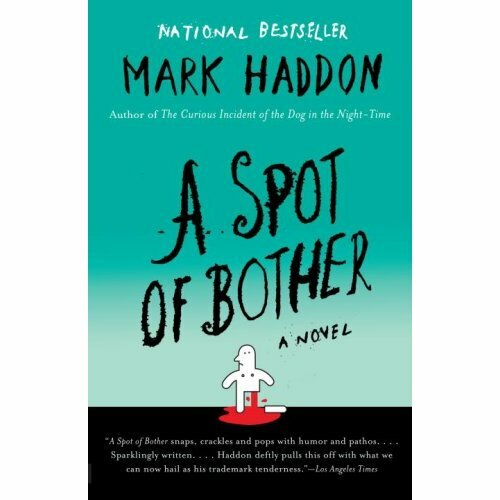 I just finished A Spot of Bother, Mark Haddon’s second novel. You may remember Haddon as the author of The Curious Incident of the Dog in the Night-Time. A Spot of Bother has nothing to do with autism, it is a family story involving an impending wedding, infidelity, fear of death, and a few other things. It has humor but is not a comedy. It deals with serious situations, but is not melodramatic. The thing Haddon does amazingly well is to get inside his characters’ heads. In Curious Incident, he deftly imagined an autistic’s inner monologue. In A Spot of Bother, he rotates among his characters, taking each of their viewpoints in turn. He does this to such a degree that there is absolutely no exposition in the book. So although the book is written in the third person, the viewpoint is actually multiple first-persons, to an extreme degree. Nothing is presented except as that character would express them. This is a bit disorienting at first, but you quickly figure out who everyone is and their interrelationships. Presenting the story this way allows Haddon to present everything from pure points of view. I realized as I read the book that a traditional third person style gives you some distance from the characters. You are standing apart from them, even if only a little bit. In Haddon’s style, you are the character.